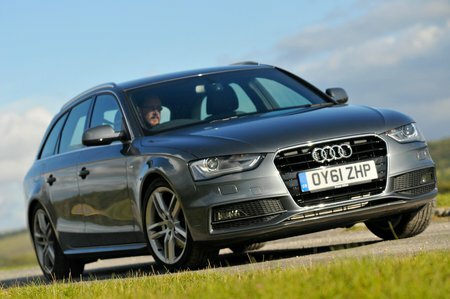 What's the used Audi A4 estate like? Audi has a good reputation for building classy wagons, and this Audi A4 Avant lives up to that. The styling is more sports hatch than load-lugger, but even so the boot is a good size and easy to load, although some rivals are slightly bigger. Unfortunately the rear seats don't fold completely flat, which makes loading longer items awkward. The handling is balanced and there's good grip through bends. Pity the steering can feel artificially light at times and doesn't provide more feedback. The ride is on the firm side, if not quite as stiff as that of the BMW 3 Series Touring – although the A4 Avant struggles on poor surfaces. The interior is well laid out and spacious enough for four adults. Visibility is good, and the driver's seat is easily adjustable to suit most people. True, this car was never the class leader for fit and finish, but the interior is still built with high quality, solid feeling-materials.